Well school is finally back and the peace restored! Time to get back to scrapbooking. 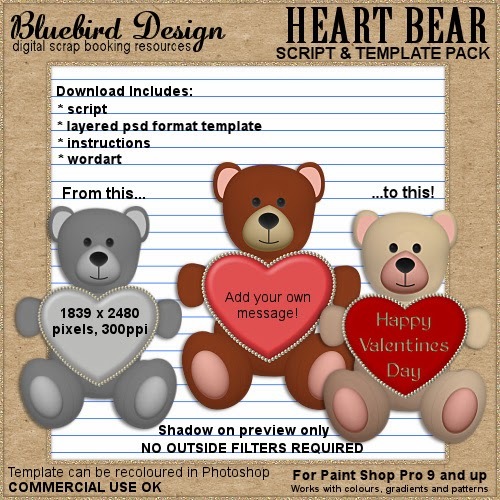 With Valentine's Day coming up I have some cute Bear Script/Template packs and a new kit. 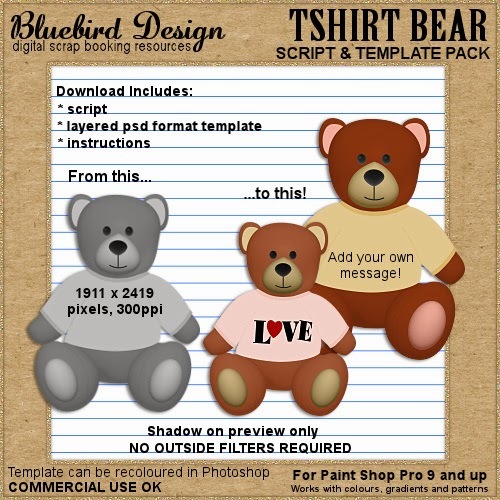 Make your own custom elements with these script and template packs. 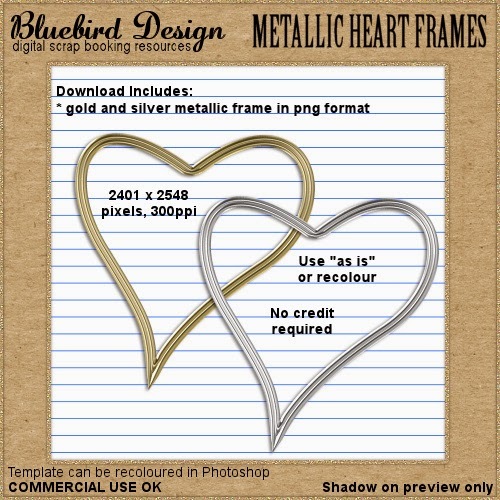 The interactive Paint Shop Pro scripts have been tested in PSP 9-16 and contain a psd format template which can be recoloured in Photoshop. CU OK and CU4CU friendly. 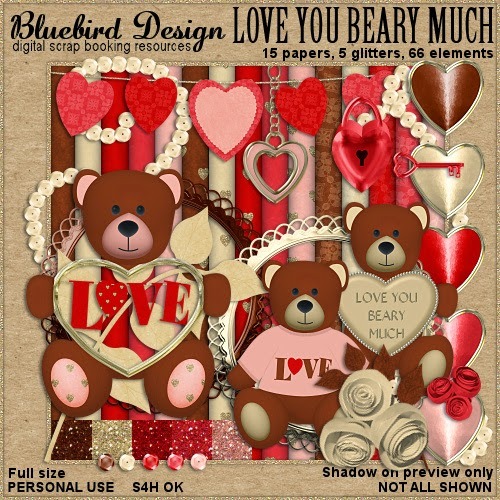 Love You Beary Much is a Valentines themed kit full of cute bears and heart elements. 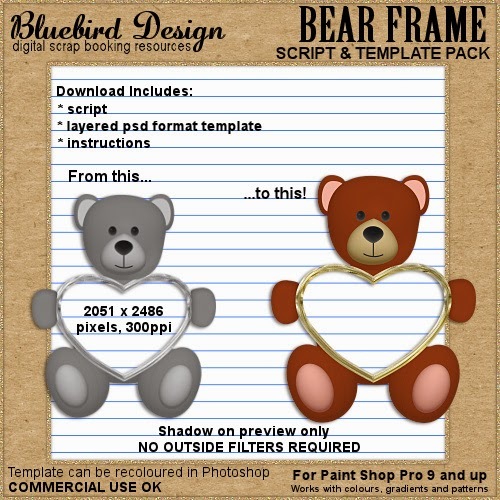 It contains 15 papers, 5 glitters and 66 elements and is available in full size and taggers size kits.